Gail and I wanted to thank Paul, Julie and Chris for transforming our cottage with the addition of a fantastic Orangery. We have been working flat out for nearly 7 years renovating our Grade II listed cottage and have managed most of the work ourselves and so handing over the whole of the Orangery project to Paul felt a bit strange at first but we needn’t have worried. Right from the first telephone contact with Julie and the site visit with Paul it was evident that they have a passion to deliver a first class product and they were very supportive and patient throughout the arduous process of obtaining Listed Building Consent for the works and were able to provide details of similar projects that eventually satisfied the Conservation Officer. Paul is extremely thorough and will only employ trusted sub-contractors and we were very impressed by Lee and his team who carried out the groundworks plus the excellent roofing, electrical and plastering contractors. Paul’s painting wasn’t bad either!! Paul and Chris set about erecting the Orangery and it was fascinating to see the building take shape and their attention to detail was impressive as with most old properties our house is in no way level and Paul had to scribe upright timbers to fit the existing brickwork. Paul managed the project from start to finish and this was exactly what we wanted and the building was finished on time to a high standard and we can’t wait to move in once everything has dried properly. We are very much looking forward to having our first Christmas in the Orangery and seating our large family in style this year! "Dear Paul, Just to say thankyou for a very professional job on our windows,door's,facias and guttering.Once again we made the right choice, this has to be the fourth or fifth time you have done work for us on various properties we have owned,every time you have been prompt,politeand most important to us careful,considerate and clean & tidy. 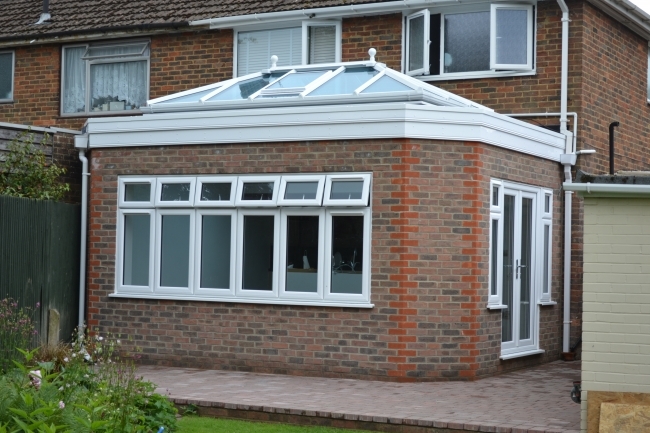 "Orangeries South East Ltd. have recently replaced 9 windows in our house at half the cost that Anglian quoted. The consultation they gave us was crucial in us choosing the style we chose. Without this we would have made a different decision and I wouldn't be as happy as I am with the result. Thank you so much for our lovely new porch front door, it really does have WOW factor, but we knew it would. We have been using Orangeries South East for many years now and we were concerned that we were moving too far from Paul’s catchment area. 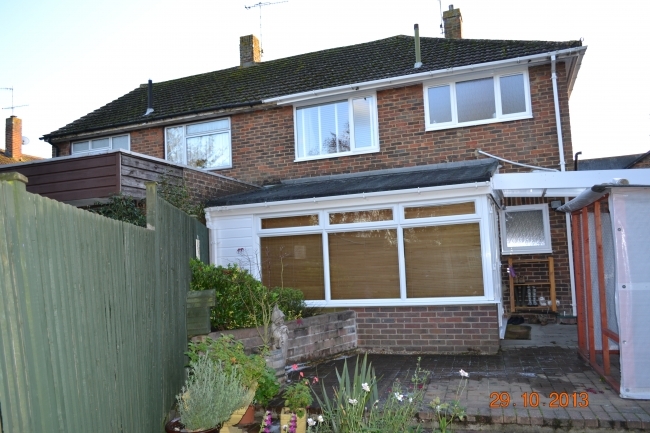 We knew the work would be perfect Paul takes so much pride in his work and is very knowledgeable in many areas of building and home improvements. There is no mucking about when it comes to getting a quote, no pie in the sky price that is incredibly reduced after “a phone call to any manger or office”. We find Paul’s price’s are fair and are much preferred over well known other companies. Orangeries South East is a family run company with Julie his wife completing all the paperwork. Mr & Mrs S of Cliffesend, Ramsgate, Kent. “We have been very pleased with the Orangery constructed by Paul Stammers of Orangeries South East. Especially as our home is a Grade II listed property. Paul has gone out of his way to ensure that everything has been done to our satisfaction, including making good the settling issues that invariably accompany any new build. What has been particularly pleasing is that Paul has been helpful and pleasant throughout the construction and has communicated well with us at all stages. We are satisfied customers"
'I have had the pleasure of knowing Julie and Paul for thirty years and had windows replaced back in the 80's then in my new house four years ago. Paul's work is always of the highest standard, the materials are of excellent quality, the fit and finish superb and I have no hesitation whatsoever in recommending his first-class company. Two houses surely says it all'. Thank you for our amazing Orangery! We just wanted to aknowledge what a fantastic job you have done on our Orangery, and to say a really big thank you, not just for the work but also for being such a great company to work with. Selecting someone to build this for us was a little daunting as you newver know what type of individual / business you agree to work with until you are actually working with then - it has, however, been an absolute pleaseure getting to know you and having you work on our build. One of the most reassuring things that we experienced early on were the comments by the trademen that you bought in. The common theme being how much they appreciated working with you as people who know what they want and are specific with thier requirements; this means they know what is expected from them and the customer receives a great job. From a customers perspective this was really great to hear, an these are sentiments that we now share. We are so pleased with the final result and we would be more than happy to provide a testimaonial to any prospective customer, just let us know. Finally we wanted to say a big thank you for managing the budget. You said you would, and you didn't disaoint! We really appreciate this. Please accept the enclosed as a personal thank you from us. We know we paid you to do the job, but do not underestimate how much we appreciate the hard work you put in, your integrity and professionalism.